It’s that time again. An entire year has come and gone and we are left with an opportunity to examine what we have done and how far we have come this year. After some investigation, it appears that only 30% of individuals will actually set New Year Resolutions - meaning less than half of Americans will set healthy and obtainable goals for the new year. People may vow to eat better, lose weight, improve relationships, and even learn to cook; possibilities are endless. Currently, the diet industry worth is over $60 billion and the fitness industry is a $25 billion dollar industry. With so many options and “fixes” promised by some organizations, it can be even more challenging for those wanting to change poor habits for healthier ones. 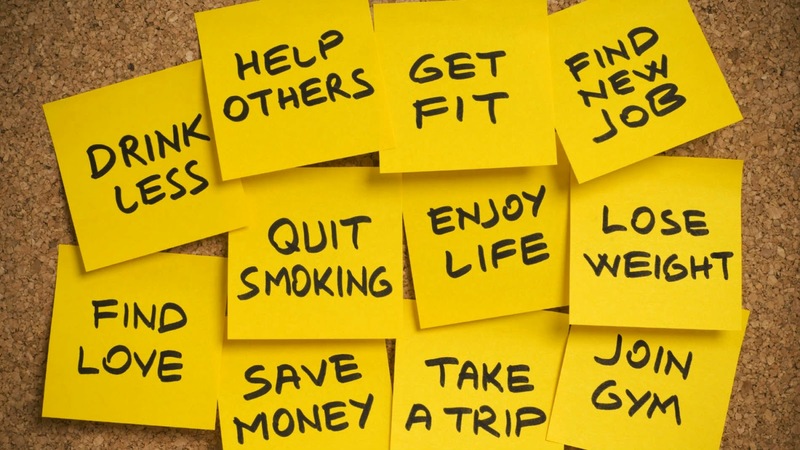 Here are some ideas for you this new year to achieve those resolutions you desire to change. First, create a resolution that you really want. If you are creating a goal that others want for you, but you do not want for yourself, it is not going to work. Trying to change for the sake of others is not the best option for lifelong results. You have to want the change. So make sure your resolution is for YOU. Also, too much is not always a good thing. Your resolutions should be limited. If you find yourself writing more than five big goals, consider the top three you would like to see different this year. Part of setting goals is to make sure they are obtainable, so be specific. If you set several larger resolutions, its common for people to “give up” when they do not see positive results across all of their goals. Be realistic and specific with these changes. When you set goals, they should be measurable. The action plan you design should include how you will measure your success both small and large. Sometimes it’s hard to see the whole picture and reviewing small pieces of success you accomplished throughout the week is extremely helpful. Next, create a plan of action. Change is never easy and sometimes you may need the help of others. If getting more exercise or eating right are your resolutions, perhaps you may need to find a friend or a group of likeminded individuals who can encourage you and your goals. Be prepared that your goals mean you will have to change your habits. Habits can be difficult to change and/or break. Knowing which habits are the hardest to reduce or change will also be helpful when setting your action plan. Support systems including your friends and family will be extremely beneficial during your initial engagement of changing habits. Additionally, you should consider writing down your goal and sharing it with others. Seeing a visual reminder of your long-term desire for change in addition to friends or family getting positive reminders can all assist positive change. Please keep in mind that those you share your goals with should be supportive for you. Lifestyle changes are difficult by themselves, try and limit negative feedback that some individuals may offer. Finally, if you feel like you missed the mark or failed at your goal, forgive yourself and move forward. The first of the year is not the only time you can set New Year resolutions. 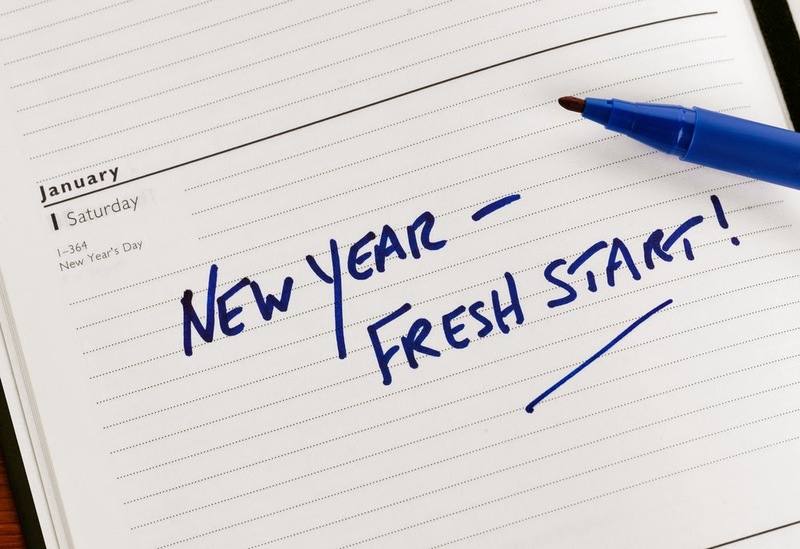 Your new year starts when you want; 365 days from day one. If you make a mistake, eat the wrong food, miss a workout – whatever the case may be – you can always start again. You create your own refresh button. Remember: It’s not how you fall, it’s how you get back up. Happy New Years everyone. Keep your goals strong!